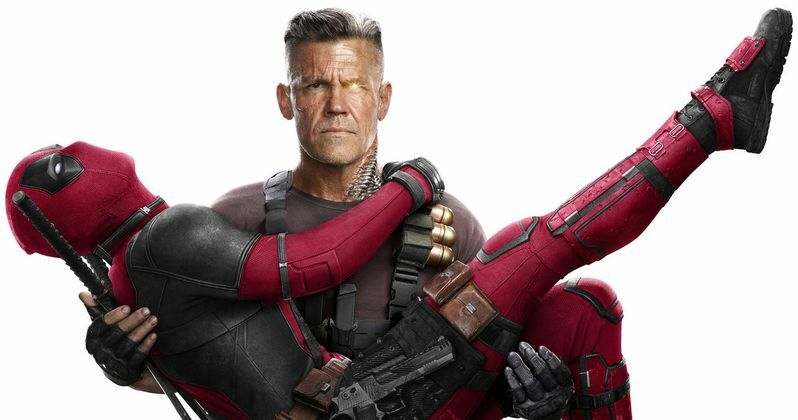 Earlier this year, rumors about the Deadpool 2 test screening started to appear online, stating that the audiences loved Josh Brolin's character, but there wasn't enough of him in the movie. So, when reshoots occurred, many assumed that it was to add more of Cable to the story, which has now been confirmed by Brolin. However, it's not strictly because of the test screenings though. There were other factors that led to the decision to add more Cable into Deadpool 2. In a new interview, Josh Brolin discussed Cable's role in Deadpool 2 while also explaining the true reasoning behind the reshoots that recently occurred. The actor admits that his character was talked about a lot in the original cut of the sequel, but that the movie just needed more of him in it physically. As it turns out, Cable is a very important component of Deadpool 2. Josh Brolin explains. "There was so much emphasis on Cable that you forgot that it was an introductory movie for Cable. We go into X-Force and Cable's a massive presence in X-Force, he's the leader of X-Force, and Deadpool's a part of X-Force, so it's a very introductory film for him. There was so much emphasis put on him, that when you go we gotta do reshoots because test screenings loved that character, but having done True Grit with 7 minutes of screen time, but you're talking about him the whole time, he feels like he's in the entire movie. This, you're talking about Cable so much, you feel like he's in more of the movie than he is. But I think we just needed a little more, and we needed to tighten up a few things. There were a couple of fight scenes that we just made more complete." The press screenings for Deadpool 2 started earlier in the week and the first reactions have been really positive. The official review embargo lifts on Monday, May 14th, so we'll get a better idea of what the film has in store for us before it launches into theaters next week. According to the first reactions, there's a big element of surprise and the performances by Ryan Reynolds and Josh Brolin have both been heavily praised. This will be the second blockbuster movie of the summer for Brolin. Josh Brolin also stars in Marvel's Infinity War as the villainous Thanos, which is currently in theaters, decimating box office records. As of this weekend, it has become the highest grossing superhero movie of all time. So, it will be very interesting to see what kind of damage Deadpool 2 can do at the box office once next week rolls around. It is definitely the summer of Brolin with the aforementioned projects and the arrival of Sicario 2, in a few months. Deadpool 2 hits theaters on May 18th and it now has a lot more Cable added to the story, which Josh Brolin has now confirmed. The actor is the main star in Infinity War and a pretty major part of Deadpool 2, playing two different Marvel characters in two separate movies that are going to be out at the same time. You can check out the rest of the interview with Josh Brolin over at Yahoo Movies U.K.